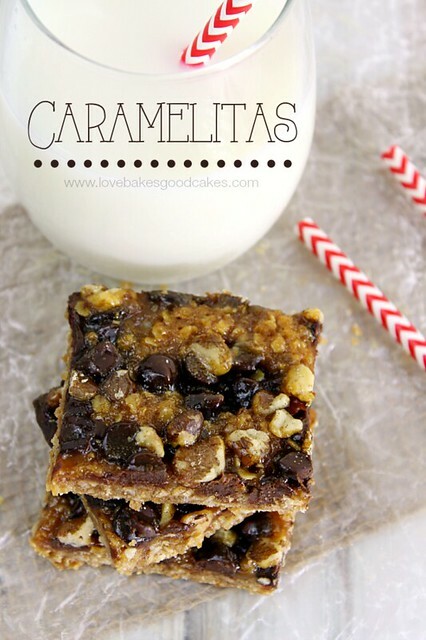 Caramelitas have ooey gooey caramel, paired with chocolate and an oatmeal crust. They are so easy to make and they are totally addicting! It’s been a long week and I am soooo glad it’s the weekend – finally! Brian’s work schedule is crazy and I have had a lot to deal with by myself this week. It has drained me. I need one of those “mom time-outs” that I’ve heard about! 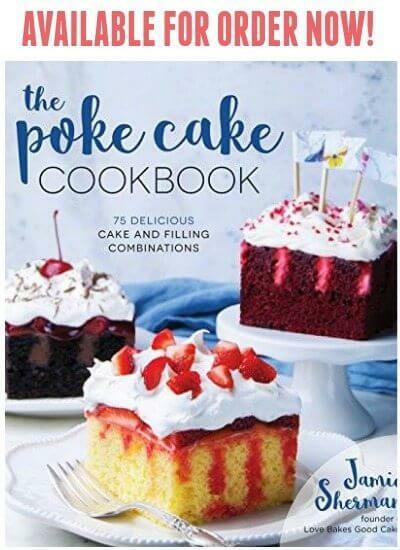 Jamie @ Love Bakes Good Cakes’s pin on Pinterest. We’ve got family in town this weekend for a birthday party, so I am looking forward to having some down time and fun! Speaking of fun, how fun are these Caramelitas?! Have mercy!! 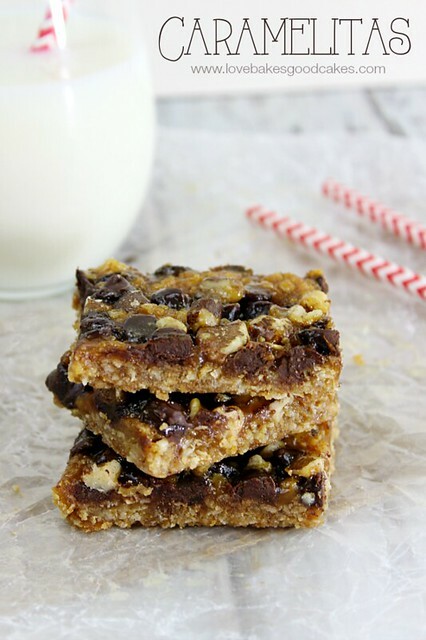 They’ve got a buttery oatmeal crust with yummy caramel and chocolate, sprinkled with nuts! I needed a little somethin’ somethin’ to brighten my spirits after this past week and these little treats hit the spot! Preheat oven to 350°F. Grease a 9x13x2-in. baking pan and set aside. In a bowl, combine the 1 cup of flour, oats, brown sugar, baking soda, salt and butter. Mix well. Press the mixture into the prepared pan. Bake for 10 minutes or until set. Sprinkle with the chocolate chips. In a small bowl, combine the caramel topping with the 1 tbsp. of flour until smooth. Drizzle the caramel over the chocolate chips. Sprinkle the nuts over the top. Bake 20-22 minutes or until bubbly. Cool completely. Cut into bars. WOW, those look so amazing! 🙂 Pinning!! Oh wow, these caramelitas look amazing!! Thank you for sharing at Simple Supper Tuesday. OK it was a BAD idea for me to look at this recipe. . . I may have to go and find a way to veganify these. they look. . . naughty! I love making easy bar recipes like this. Pinning to save! WHAT!!!! 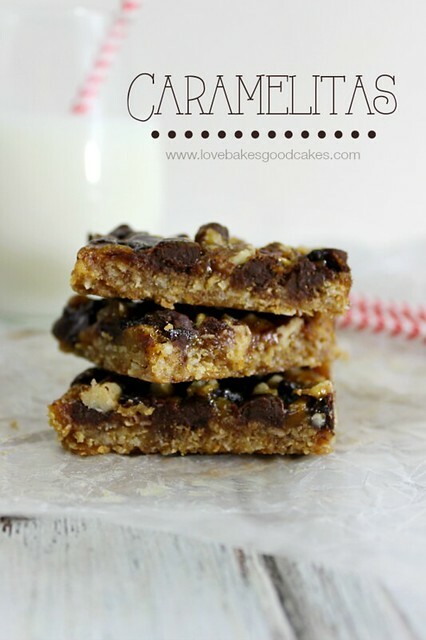 Just Pinned these Carmelitas because I am DEFINITELY making these when I'm off of my temporary dietary restrictions. These look AMAZING! 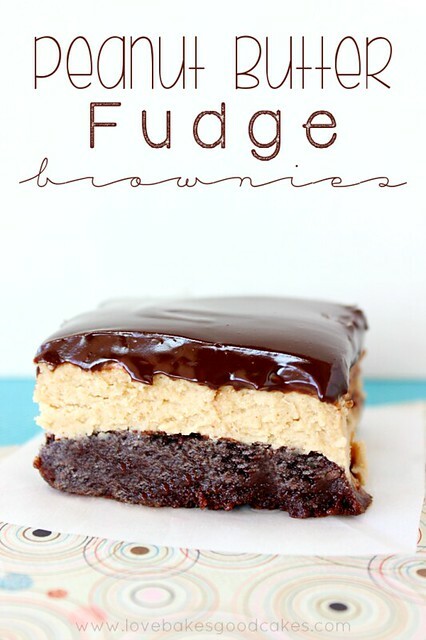 I want to make these as it and with toasted coconut on top. Yum! I bet toasted coconut would be great, Cari! 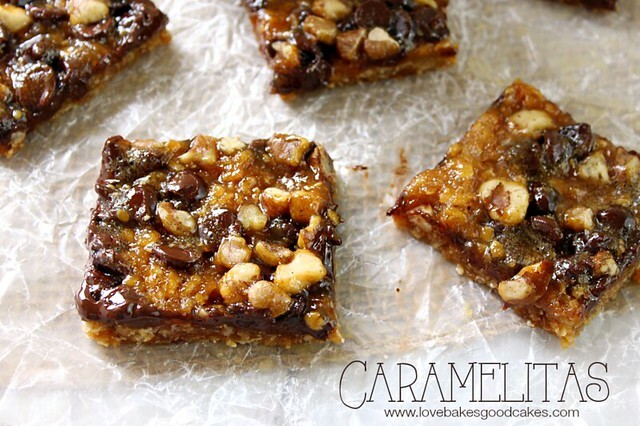 Oooey gooey caramel anything gets my motor running so I can't wait to give this a try. I am pinning this wonderful treat! Thank you so much for sharing with Full Plate Thursday today, it is great to have you at the party. Hope you have a very special week and come back soon! Oh my goodness, Jamie, these look absolutely perfect! Everything I love in a dessert and more! 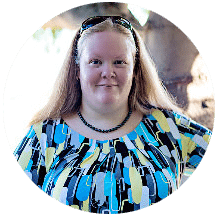 Dropping by from the Wonderful Wednesday Blog Hop and pinning! These would definitely pick me up! I love chocolate and caramel. Buttery oat crust…not too shabby either! Thank you for sharing, Jamie! Hope your week has much improved! Oh my these look delicious and will be in my future!! Thanks for sharing! I have never tried freezing them – they never last long enough! 🙂 My guess is it would be ok! To freeze, cool bars completely, but do not cut into individual servings. Wrap tightly in plastic wrap, then wrap again with foil. Freeze up to 3 months. When ready to serve, thaw at room temperature before cutting into individual servings. You had me with the Caramelitas. 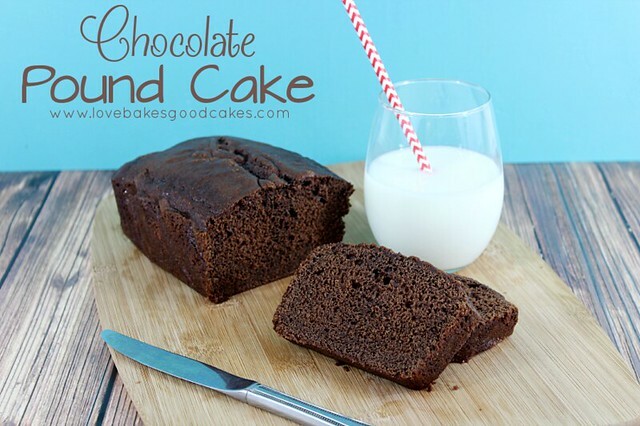 Then you threw in Peanut Butter Fudge and Chocolate Pound Cake and, WOW, now I don't know which I want more!! !